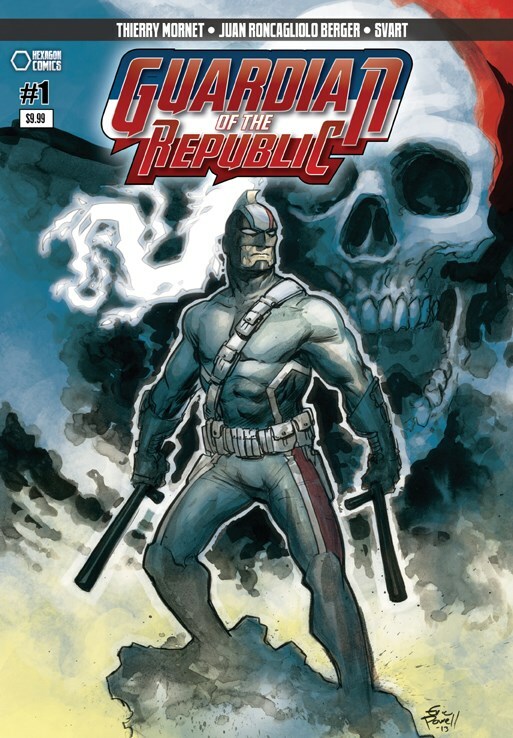 GUARDIAN OF THE REPUBLIC by Thierry Mornet, Juan Roncagliolo Berger; colors by Svart, cover by Eric Powell. Story: He is the French Republic's last rempart against evil and terrorism. For generations, men of honor have worn the costume of the her hero called Guardian of the Republic! In this story, the Guardian teams up with the fearsome John Mist to fight the forces of CRIMEN.